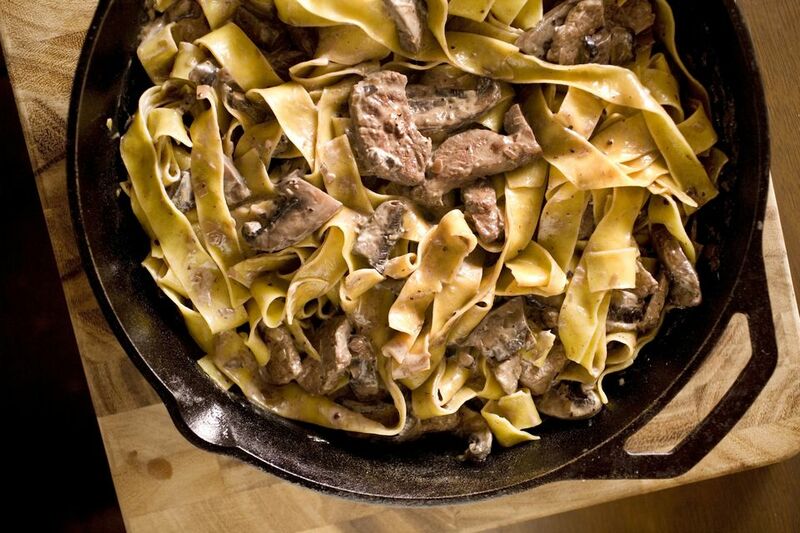 For an easy cold-weather meal you can throw together in 20 minutes, look to the crockpot to cook hearty beef to perfection for this hearty Stroganoff. Making this dish in a slow cooker allows the flavors to blend together and fully marinate the meat until it's juicy, tender, and totally satisfying. Serve with sour cream for an extra rich dinner on top of your favorite hot cooked noodles. Dredge beef in flour and salt. Melt butter or margarine in large skillet and add beef and onion. Combine beef broth, ketchup, garlic and mushrooms in crockpot. Add cooked beef and onions; stir gently to combine. Cover and cook on low for 7 to 9 hours. Add sour cream, cover and cook on HIGH for 20 to 30 minutes, or until heated through.